Our purpose is to unite women of the congregation for the total mission of the church and to provide a medium through which they may express their loyalty and devotion to Jesus Christ in Christian witness, study, fellowship and service. Hold meetings regularly. Eight to fourteen women attend the general meetings. Host meetings of the courts of the United Church of Canada, serving refreshments or meals as requested and able. Host meetings of UCW Presbyterial, Conference, and National UCW, providing refreshments or meals. Cater refreshments or meals to outside groups such as Canadian Club and Trinity AOTS when feasible. A very important function is catering refreshments for funerals for Emmanuel members. Host our Annual Tea and Bazaar at the church usually in November. Donate $1,200.00 per year to the United Church of Canada, Mission and Service which is included in Emmanuel's total. Sponsor student interns studying for the Christian Ministry in the United Church of Canada from North Bay Presbytery through money forwarded to North Bay Presbyterial UCW. A representative from the UCW attends Emmanuel Church Council meetings. We encourage inspirational devotions and prayer at the beginning of our meetings. We celebrate women of Emmanuel at a catered lunch in January and a Pot Luck lunch in June, through prayer partners, and visiting and delivering homemade cookies before Christmas to home-bound members. 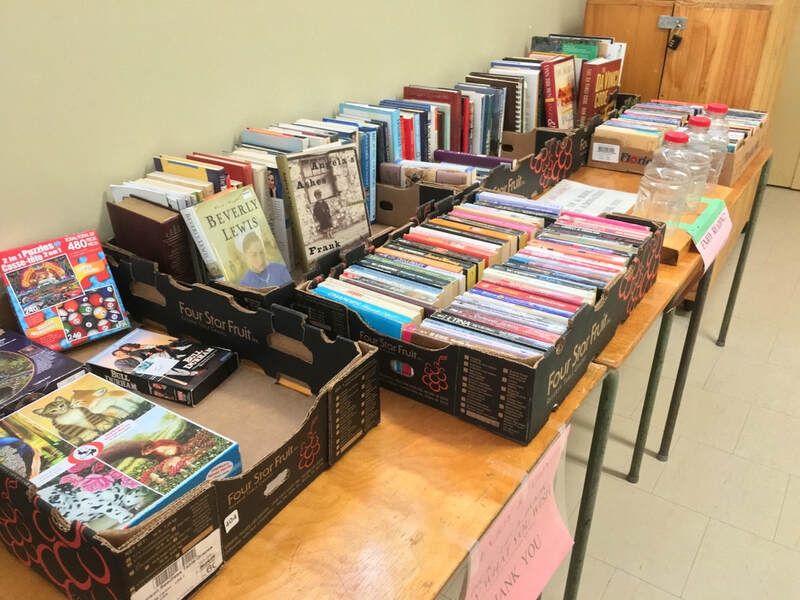 We also have a constant fundraiser in the church, our Book Corner. This little corner in the hall is always available for perusal, come in and check out the selection of books and leave a donation. All money is donated to UCW projects.